Who wants to learn how to do hair? Who wants to know how to make your own hair look optimally amazing? Allow me to introduce you to my new post feature where I will teach you all I know about hair and how to achieve the look you really want! 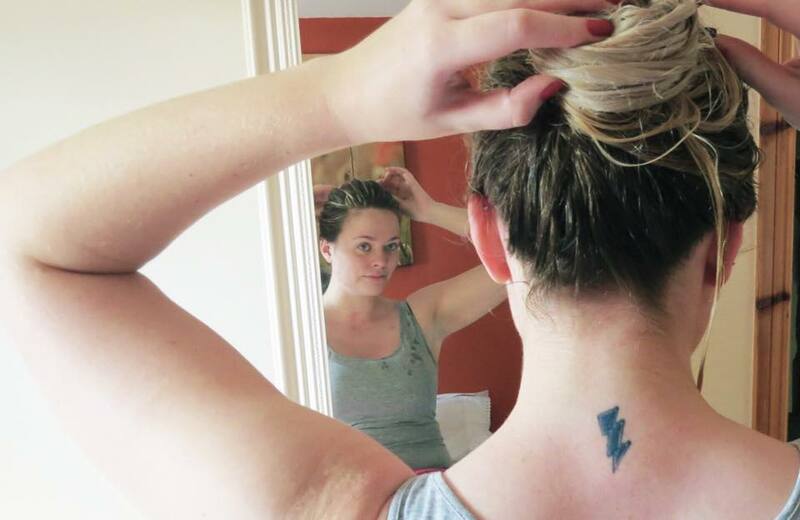 Welcome to Anything But Marzipan Hair Tutorials! 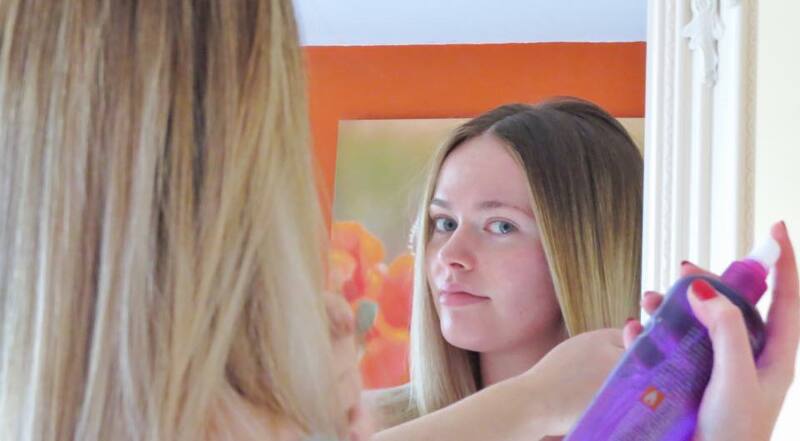 Today I’m going to show you how to get amazingly silky smooth straight hair that lasts. It’s easy to wash your hair and pop a straightener through it afterwards to get it straight for a few hours.. but then you realise on that same evening the kinks are on the way back, you can’t stretch your straight locks till the next day and you’re then applying that sizzling hot straightener onto your poor hair again! This is not ideal! I’m going to let you in on the best hairdressers secrets, so follow my step-by-step guide on how to get it straight for longer. I recently got sent some MADES Haircare products including the hair mask treatment and a flat-iron spray. These products inspired me to create the ultimate smooth, sleek & straight hair look.. I feel products play a very important part in haircare and if you know me, you know I have a huge knowledge of hair products on the market and I can teach you what would suit your hair best. My hair is very thick, fuzzy and damaged and the opinions I share on my post are based on myself. See below for a detailed review on the MADES products I was sent. First of all, this is me in no-makeup glory. I thought that I would be 100% pure and let’s be honest, nobody likes their makeup on while washing their hair! Step 1: Hair Prep: Wash your hair using a deep cleansing shampoo. Rinse, lather, repeat. I love the Moroccan oil cleansing shampoo as it is sulphate free therefore less damaging! Do not apply conditioner. Step 2: Hair Mask Application: After shampooing your hair, squeeze excess water and gently towel dry your hair. 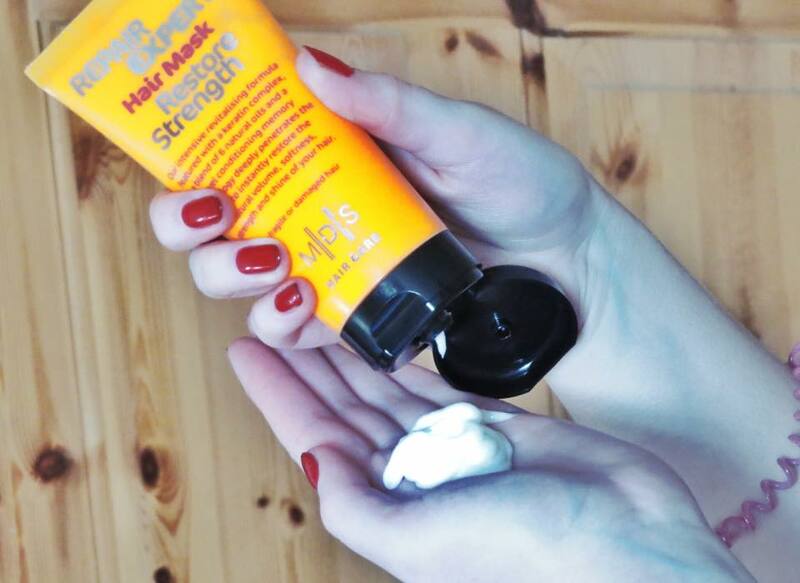 Apply MADES Restore Strength Hair Mask to your hair. Focus on the ends of the hair (from the ear downwards) as this is where the older hair is more thirsty and crying out for help! I like to apply the treatment, clip it up for five minutes, and then begin to comb your hair using a wide tooth comb to get the product evenly distributed and optimally smoothen out the hair. Step 3: Final Rinse: Rinse out the treatment thoroughly. Towel dry the hair again and prepare the hair by combing out any knots. You should find at this stage that the hair feels smoother and easier to manage compared to using normal conditioner. Step 4: Hair Drying: Before beginning to dry the hair, apply MADES Straight Support Flat Iron Spray throughout the hair. Blast dry the hair 80% and then begin to section off the hair. Use your favourite round brush to get the hair dried smooth. In each section I apply another 1-2 sprays of MADES flat-iron spray to make sure my hair is optimally protected throughout the “hot steps” of the hair styling. Step 5: Hair Straightening: Now that the hair is 100% dry, protected and smoothened out, next section out the hair again to begin the straightening process. 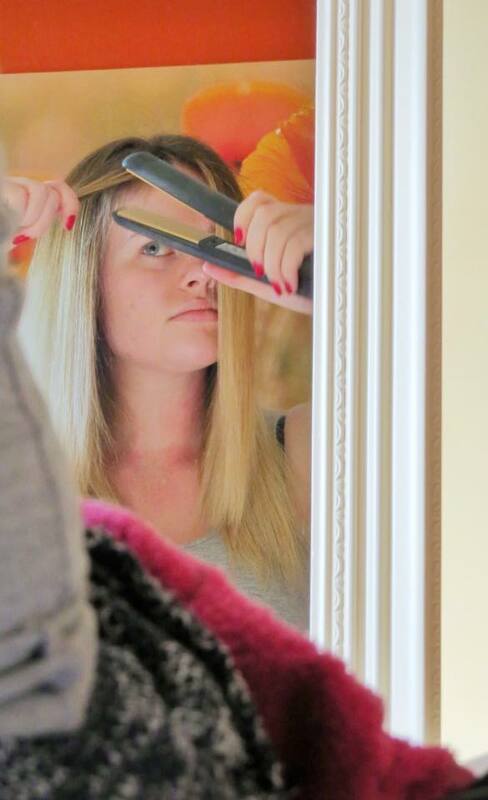 Using a fine tooth comb straighten the hair as flat as possible. Finish with a serum and some hairspray to keep fly-aways at bay. There you have it ladies! Beautiful straight hair! Hair masks/treatments play a very important part in getting smooth straight hair. Treatments soften the hair and weigh it down so it is perfect to use before wanting to get a smooth look. I always use a heat protector in my hair (no matter what) when drying, straightening or even when out in the sun! 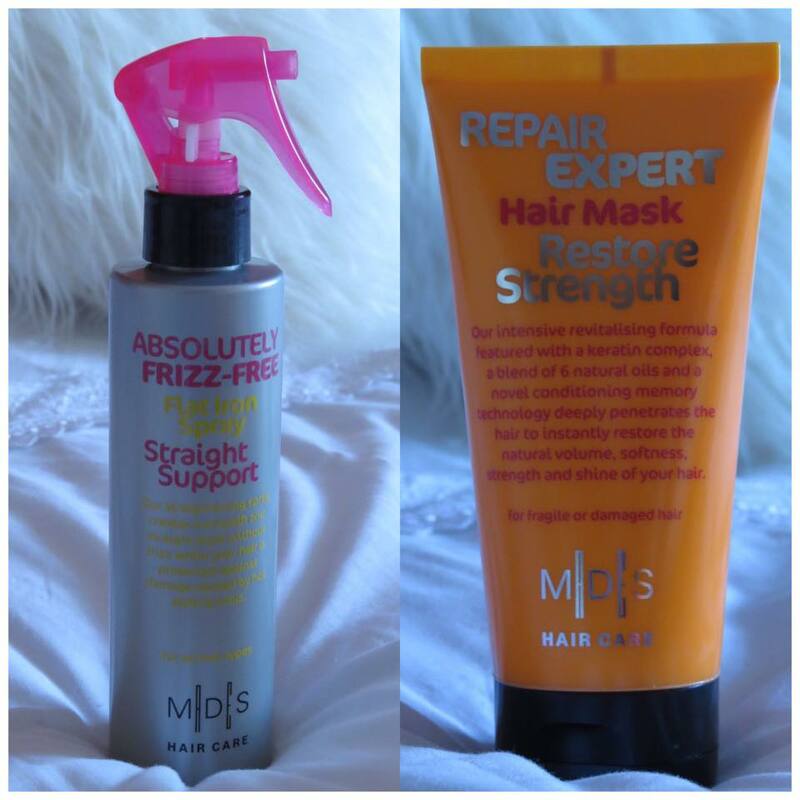 MADES Haircare Review: I was very excited to receive these products to try as I have never heard of them before! I got sent the Restore Strength Hair Mask and the Straight Support Flat Iron Spray. I looked into them and they are a dutch brand now stocked in selected pharmacies throughout Ireland. I love the packaging! You won’t miss them. 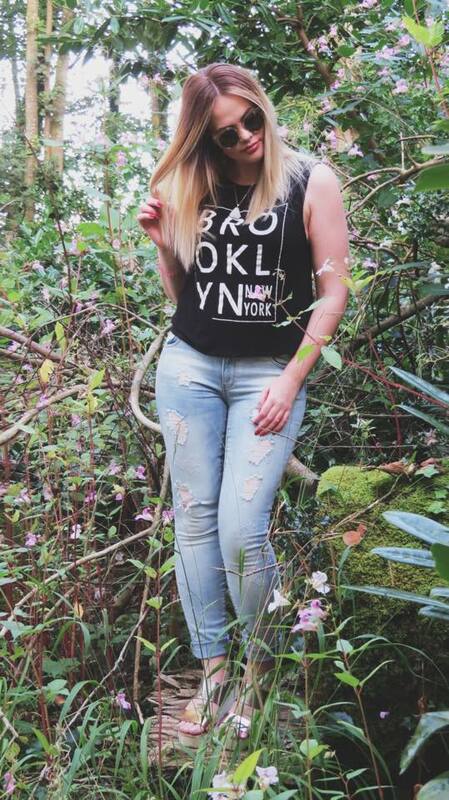 Bright and simple. There seems to be a product available to suit all hair types which is fantastic! Being a hairdresser, it’s been many years since I have used anything but salon stocked hair products. After having a good look at the ingredients in both products I could see that MADES is good quality. There are no particularly obscene ingredients and many match those you will see being stocked and used in a high-end hair salon. My experience with this range was OK. I have very hard hair to manage. I try so many different hair products to try to calm my thick, frizzy, damaged hair. MADES was very good in comparison to other products I have used before, so I do recommend giving it a try. Fragrances in products are very important to me. If something smells too strong or overpowering I will more than likely stop using that product because the smell can make me feel a bit ill. I found the fragrance in the hair mask pleasant and not over powering. The mask is peachy smelling and the spray is sweet vanilla scented. The flat-iron spray was too much for me. I’m not a vanilla scent kinda gal, but those of you who are will love it as it’s still light and fresh! Both products claim to be instantly detangling. I thought they did not ‘instantly’ detangle my hair, but I got there in the end! I did feel as though my hair was being protected effectively while combing out my hair which is very important to prevent breakage. The products did their job brilliantly in giving me the finished frizz-free look of sleek, smooth hair. My hair felt soft and strong. There was an almost synthetic squeaky feel on my hair which was probably the silicones, which are commonly found in any hair treatments and heat protectors. My Hair lasted two days straight, after that I curled it and that lasted a further three days ( 5 days, 2 heat applications). The treatment did not make my hair get oily too quickly which is a common problem with hair masks. MADES are aiming for salon quality products that won’t break the bank. the products are retailing from €8.95 for good quality products. You can buy MADES products in McCabes, Meaghers, and Health Express. Go for it! why not try it out and see for yourself? Let me know in the comments below if you have tried MADES and what you think of them too. If you have any questions regards what product within the range you would need to get for your hair type, don’t hesitate to contact me. I’m always more than happy to help everyone to try to get the best hair care catered for each individuals specific needs. ← Melbourne: The Most Liveable City In The World?